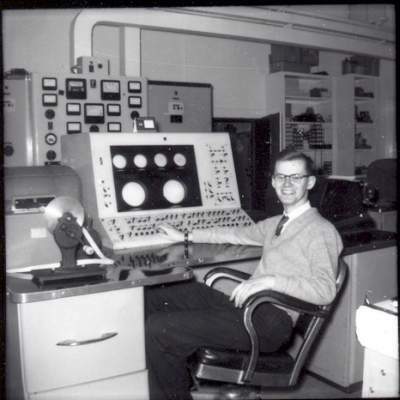 My second job out of school was baby sitting a Ferranti Mark 1 digital computer called FERUT which had been relocated from the University of Toronto to the Structures Laboratory (M-14) at the National Research Council (NRC) in Ottawa. Main operating console for the Ferranti Mark-1 computer. In 2014, I learned that I may be the last living person (assuming that I’m still alive when you’re reading this!) to have ever worked on Canada’s first commercially sold computer. You can learn more about FERUT and my early adventures with computer maintenance at www.FERUT.ca.